Scott W. Moore, RPA, currently serves as the COO/Senior Partner for Holt Lunsford Commercial. As such, he oversees approximately 70 million square feet of real estate with 160 employees in Leasing, Corporate Services, Management Services, Construction, Corporate Accounting, IT, HR, Promotional Marketing and the Real Estate Insurance Company. Scott joined HLC in 2003 as a Senior Manager. In 2008, he was promoted to Managing Principal of Management Services and was instrumental in growing the company’s management services business. As a result, Scott was promoted to Executive Vice President of Management and Corporate Services in 2014 and is currently serving as the company’s Chief Operating Officer. Scott began his real estate career directly out of college in 1987 with the Trammell Crow Company. He served as Senior Property Manager, managing approximately 1.8 million square feet of Class A office buildings with a staff of 35+ employees. His portfolio included Trammell Crow Center, which was the company’s flagship building and one of the premier buildings in the Dallas market. He also worked in Asset Management overseeing 6 million square feet and 50+ employees for Triple Net Properties with leasing and management teams in Florida, New Jersey, Pennsylvania and Texas. 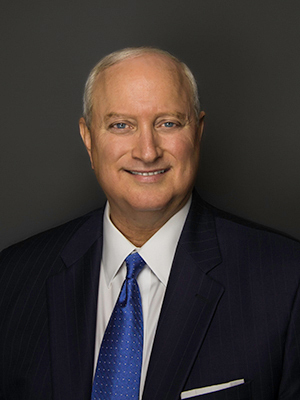 Scott graduated from the University of North Texas and brings 32 years of real estate experience in Management and Corporate Services as well as Asset Management.